The 0.90ml TS800 trigger sprayer, available from Cormack Packaging , offers proven reliability, good quality and aesthetics. The TS800 trigger sprayer has an easy pull, low force to actuate trigger, patented nozzle technology that ensures no leaks from the sprayer and an angled dip tube to make sure that the customer can use the entire product in the original brand. 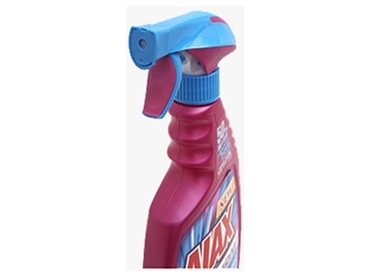 Cormack Packaging also offer the 1.30ml Mixor high output range of triggers as well as mini sprayers, mini triggers and powered and remote sprayer triggers.